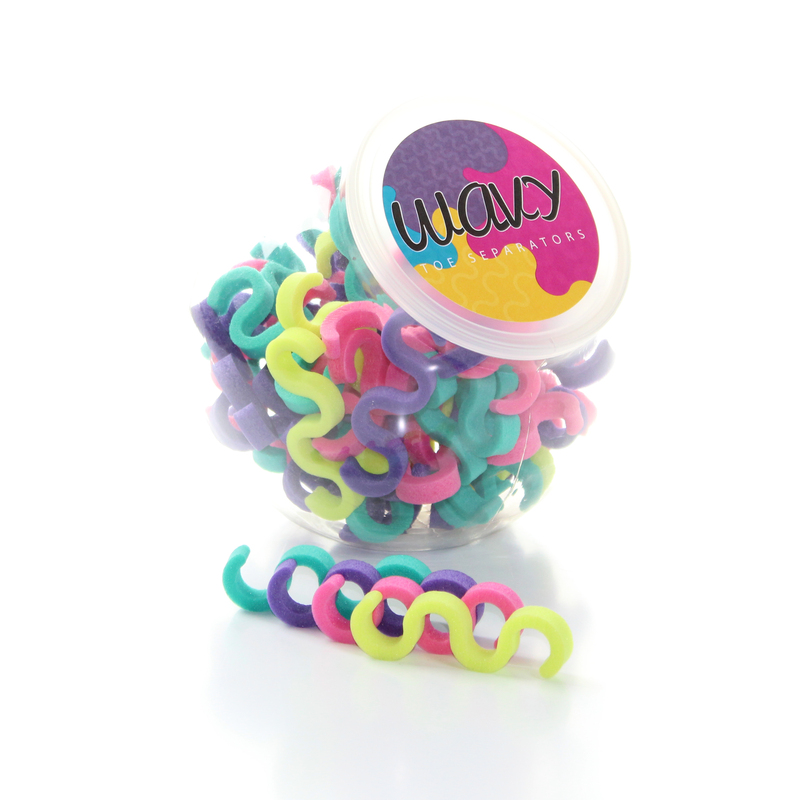 Our Wavy Toe Spacers in an assortment of colors available in a bubble container with replacable lid. These are limited - so pick some up today. Contains 72 pieces (36 Pair) Made in the USA.